Above: Children in Savar, Bangladesh (Image: ARCHIVE Global). As you may have noticed, we launched our newest project this week! 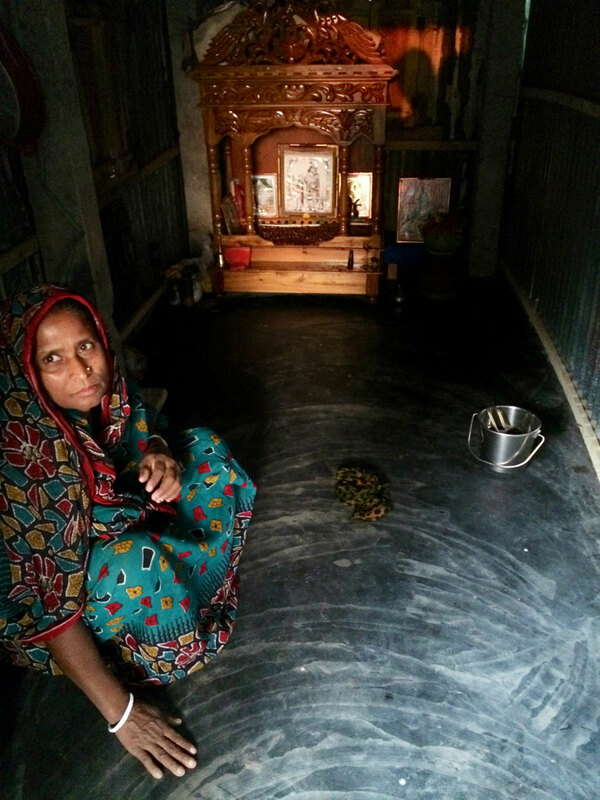 The High Fives project extends the work of our latest pilot flooring project in Savar, Bangladesh, where dirt floors were converted to concrete floors. This simple intervention, along with health and hygiene awareness workshops, can yield dramatic returns in health, especially for children under the age of five. “Childhood mortality is at the forefront of development discussions right now. ARCHIVE has a simple, cost-effective housing design that can drastically impact the rate at which children are dying,” says Peter Williams, ARCHIVE Executive Director. The High Fives project will target families of five with children under the age of five, and help these children reach their fifth birthday. Having an already established partnership with a local Bangladeshi NGO and a positive presence in the targeted community, High Fives will be a 12-month long initiative to convert the floors for nearly 3,000 residents. High Fives from ARCHIVE Global on Vimeo. A concrete floor installed as part of ARCHIVE Global’s pilot project in February. Globally, 6.5 million children die from diseases directly linked to poor and substandard housing. Dirt floors are a common feature of substandard housing in both rural and urban areas of the developing world. They prove to be ideal carriers of parasites, viruses, and bacteria and can cause diarrheal, skin, and respiratory diseases that can be fatal. In Bangladesh, diarrhea alone kills 100,000 people each year, a majority of them children under five. A new cement floor ARCHIVE, in partnership with ADESH, installed in February. A similar flooring project done in Mexico found that complete substitution of dirt floors by concrete floors results in a 78% reduction in parasitic infestation, 49% reduction in diarrhea, 81% reduction in anemia, and up to a 96% improvement in cognitive development. We piloted this idea in February 2014 in partnership with the local Bangladeshi NGO ADESH. In just two weeks 10 families received concrete floors and in the four weeks following the intervention, 0% of the participating households reported episodes of diarrhea among children under the age of five. Through awareness in press, film, social media, school programs, and strategic partnerships with other development agencies, our broader goal is to reduce the nearly 6.5 million preventable deaths children face around the world every year. High Fives is being launched this week to coincide with the United Nation’s World Humanitarian Day, a day “to celebrate the spirit that inspires humanitarian work around the globe.” We invite you to support humanitarian efforts through our High Fives project. For more information, to donate, and to meet the beneficiary families in Bangladesh, visit us here.